This week (01-05 October), it is the National Work Life Week – an opportunity to remind employers of the importance of implementing robust health and well-being policies which enable staff to enjoy a positive work-life balance. This is something which is incredibly important to us – not just because we are HR professionals, and as such are the ones ensuring that these policies are adhered to. 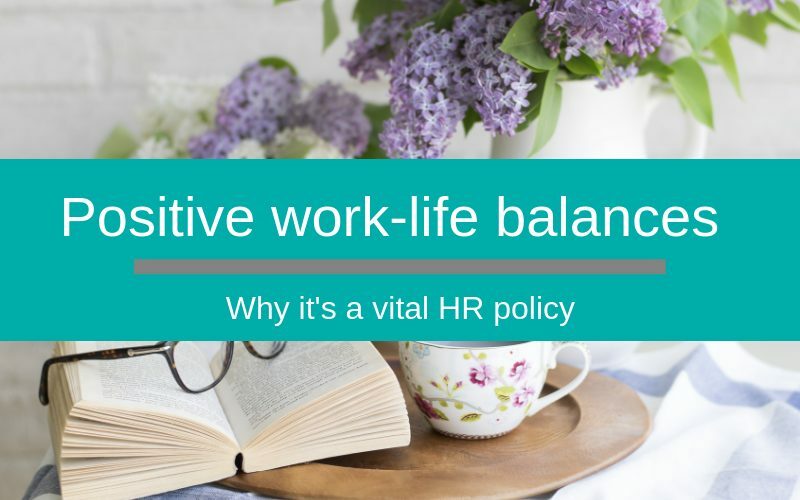 It’s important that staff have a positive work-life balance because as a responsible employer, we’ve seen first hand the changes that can occur when staff are listened to and feel fully supported. Earlier this year, the CIPD published it’s annual Health and Wellbeing Survey which suggested that despite growing awareness of the importance of healthy workplaces, organisations still vary considerably in how proactive they are with their employee well-being policies. In fact, the survey reports that nearly one in five employers are not doing anything at all to support their staff’s health and well-being. The report specifically highlighted the impact of technology upon employee well-being, and results were decidedly mixed. Although three quarters of respondents indicated that technology allows for much greater flexibility in the workplace (thanks to remote/home working), a whopping 87% felt that technology has contributed towards the “always on” culture which can lead to increased stress levels and cause employee burnout. At Silver Cloud, we believe that as an employer, we have a duty to provide our team with a healthy working environment. Like many companies, we know that the traditional 9am-5pm working hours have evolved. That’s why we work closely with our employees to establish shift patterns which suit their individual needs. Some of us work part-time hours, others only work Monday-Thursday and we’ve even offered term-time only contracts. This approach has allowed us to employ some brilliant people who have needed to fit their working hours around their own priorities; whether it’s a single parent who needs to manage the school run, someone who needs time to care for an elderly relative or someone who simply wants to enjoy an after-work exercise class. Our flexible approach is also evident during office hours. We encourage our staff to take a full lunch hour, and to take it away from their desks. It may sound small, but we believe its important to take regular screen breaks. Not only can this help your eyesight but stepping away from a computer for a few minutes can help you unwind both mentally, and physically. It’s great to see many of our staff using their lunch breaks to go to the gym or have a short run, it not only relieves their stress, but it results in a much happier and more motivated workforce. We’re incredibly proud of our workforce, and as we continue to grow, we are always looking for talented HR consultants and project managers to join our team. If you have a passion for technology and a strong background in HR then why not take a look at our current job vacancies?